It’s no secret that HVAC projects can be expensive. Getting a quote from a qualified contractor is the only way to know for sure the cost of your project. There are many blogs and websites which promote HVAC quotes online. They may publish prices for new heating or cooling equipment, or costs associated with common system repairs. While in some cases, HVAC quotes online can give you a ballpark price, there’s really know way of knowing if that price applies to your situation. Don’t know what you’re looking for. The average homeowner doesn’t know the ins and outs of an HVAC system – and that’s OK! Contractors don’t expect you to – that’s their job! To provide a quote for a new system or repair work, a contractor needs to assess your home or business, the comfort issues you face, and what type of equipment or repair is necessary. An HVAC quote online may not consider important installation or repair factors that increase or decrease price in your situation, making it inaccurate. Don’t know what’s wrong with your system. 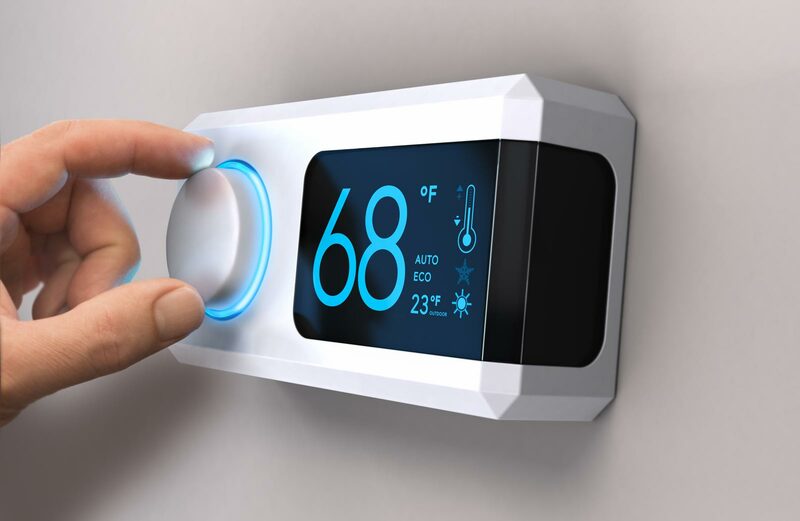 Heating and cooling systems are complex – it will be difficult for the average homeowner to determine the problem and repair issue they face, in most cases. When looking at HVAC quotes online, you may think you need one thing, but when the contractor shows up, you need a fix entirely different – the costs are likely to be vastly different. A general HVAC quote online won’t be specific to your circumstances, which is the most important factor when designing a heating or cooling system. An HVAC quote online for a new air conditioner at $4,000 installed may sound like a good price, but do you know what it includes? Do you know what is needed to facilitate an efficient installation in your home? The prices you see in HVAC quotes online are often for equipment only, and maybe basic installation – your installation could have additional needs. If your home requires a larger capacity unit or needs new ductwork to facilitate the new air conditioner, it’ll add more to the final price tag – there will be a big discrepancy between the HVAC quote online and the actual quote to make the equipment work for your home. HVAC quotes online for common system repairs aren’t accurate either, for the same reason. The HVAC repair you face may be more complex, or other fixes may be needed in addition to the issue you read about on a blog. Contractors are different, across the country. Markets vary, affecting the price. Certain climates need different HVAC equipment, which can affect the cost in your situation versus the generic quote you find online. There are so many variables in homes, businesses, and HVAC equipment – getting a personalized quote from a contractor in person is really the only way to accurately assess the cost of an HVAC project. One reason homeowners turn to ineffective HVAC quotes online is because they don’t want to waste a contractor’s time, calling them out to complete a quote when it’s more than affordable. It’s still wise to obtain a personalized quote from a real contractor – just be honest if the price is out of your budget. Contractors are there to help you – they’ll work to find a way to get you the equipment and services you need, in many cases. Have a frank conversation about the cost – you may be surprised at what options are available. HVAC companies are constantly offering different specials, and may have a current option which fits your needs. Or, by knowing what you’re looking for and the price point, the contractor can use this information to get back in touch when the right deal for you is available. Performed by a qualified specialist, HVAC inspections will tell you how your home’s heating and cooling systems are functioning, and if any repairs are warranted, as well as replacement. Simple HVAC inspections may be performed with your annual preventative maintenance service visit. It’s a great value for homeowners to have their systems assessed each year, to ensure proper functioning and efficiency. Inspections can provide a ‘heads up’ which alerts the owner of needed repairs, before operating the system does additional damage. The cost of HVAC inspection ranges from contractor to contractor. Below, we’ll share with you the average cost of HVAC inspections, as well as what you’ll get for your money. In 2017, the cost of HVAC inspection averages $321. On the high end, an inspection may run you as much as $475; if your home is under 1,000 square feet, you could pay as little as $200 for an inspection. Be sure to verify the cost of HVAC inspection with your chosen contractor before the inspection begins, as prices do vary between providers. An HVAC inspection is a thorough review and testing of your home’s heating and cooling equipment, as well as any whole-home indoor air quality systems. Contrary to popular belief, the average home inspection does not include detailed testing of HVAC systems. While basic functioning is checked, furnaces, heat pumps, air conditioners, and other HVAC systems can still function with major malfunctions, in some cases. Your home inspection generally is not detailed enough to give you the full picture of how your heating and cooling systems are performing. Upon completion of your HVAC inspection, the technician will provide you with a completed report of all elements examined and their findings. They may also include recommendations as to performance and efficiency-improving repairs which will help your systems improve function. At this time, read over the report and take the opportunity to ask for clarification or more information on any points you need. HVAC.com connects homeowners with contractors who provide HVAC inspections locally. Use our Contractor Directory to search for an HVAC professional in your area to access the services you need! While you’re here, search our site for the answers to all your heating, cooling, and indoor air quality related questions! We’re the world’s top resource for HVAC knowledge.